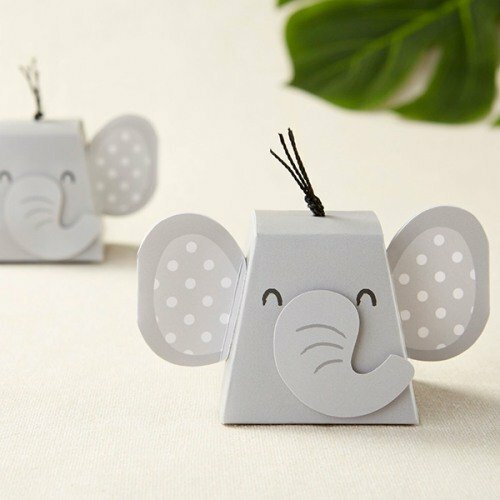 Adorably wrap your favorite goodies with these elephant favor boxes! Each box stands upright and is just like an elephant. All you have to do is choose your favorite look and add your favorite treats.